You’re playing a sit and go tournament, seated in the big blind. 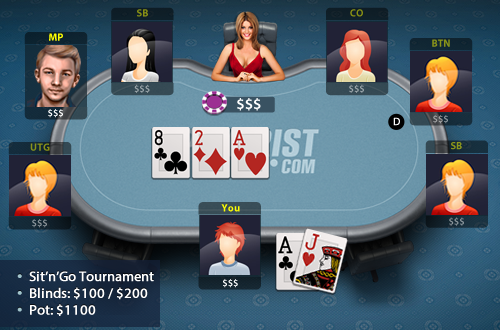 A player in middle position raised to 500 before the flop and you called with AJ off-suit. The blinds are 100/200. You flop an ace on an A82 rainbow flop.